Bharadwaj, a professor at NLU, Delhi, was arrested on October 27, 2018, for allegedly being part of a banned Maoist organisation and inciting violence after the Elgar Parishad was held in Pune. 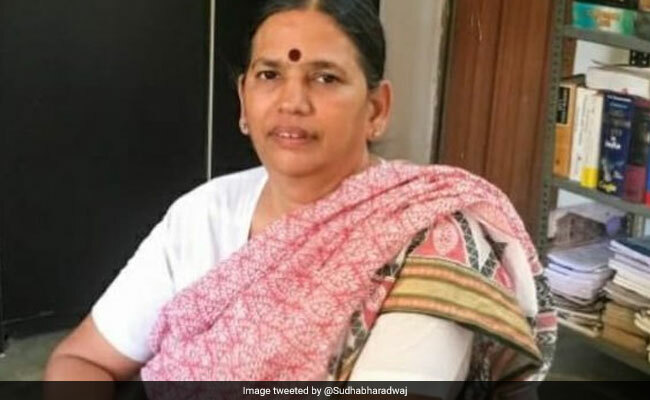 The Bombay high court (HC) on Thursday reserved the order on the bail application of civil rights activist Sudha Bharadwaj, who was arrested by the Pune police in connection with the Elgar Parishad case. Justice Nitin Sambre said he will pronounce the order on March 11. Bharadwaj, a professor at National Law University, Delhi, was arrested on October 27, 2018, for allegedly being part of a banned Maoist organisation and inciting violence after the Elgar Parishad was held in Pune on December 31, 2017. According to the police, the speeches made at Elgar Parishad fuelled violence near the Bhima-Koregaon war memorial the next day. The first charge sheet in the case was filed against ten accused in November 2018. The Pune police on Thursday filed a supplementary charge sheet at a special Unlawful Activities (Prevention) Act (UAPA) court in Pune against five persons, including Bharadwaj and fugitive Maoist leader Ganapathy. Advocate Yug Mohit Chaudhary, who represented the activists, argued that the police want to keep the law professor behind the bars on the basis of a few documents purportedly retrieved from laptops of two co-accused, Rona Wilson and Surendra Gadling. He also pointed out that though police allege that Bharadwaj took part in certain meetings, the evidence brought on record by them suggests that on the date of such purported meetings, Bharadwaj was in Haryana (at her residence near Delhi) and another member, Shoma Sen was in Mumbai. “Their call data records makes this abundantly clear.” He said that although claims had been made about a plan to kill the prime minister in a Rajiv Gandhi-style assassination on the basis of material found on personal gadgets of two accused in the case, the prosecution itself had admitted in terms before the Supreme Court that there was no evidence to link Bharadwaj with any such conspiracy. Additional public prosecutor Aruna Pai, however, maintained that nowadays there are several means by which one can participate in meetings from far off places and there is ample evidence suggesting that Bharadwaj was constantly in touch with the other accused in the case.